How epic is this cover image, am I right? Well, don’t be fooled…. cause this drama doesn’t live up to its own glorious press. 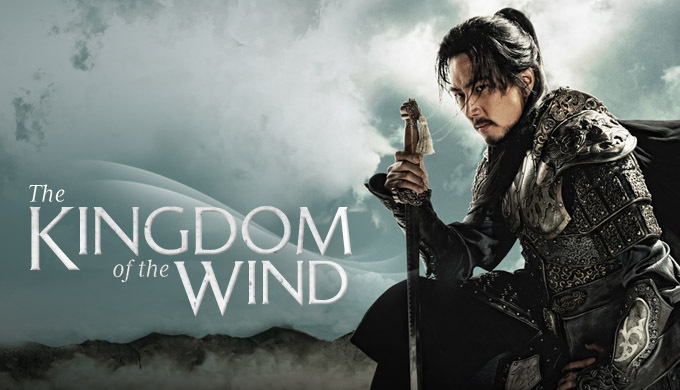 I might have enjoyed it more if I had watched it when it originally came out – before bigger, better, more impressive historical sagas came out and destroyed all contenders. Maybe this drama helped pave the road for the big budget beauties I so adore, but I still can’t hep but feel underwhelmed. It’s basically about this prince whose life was ruined on the day he was born after a shamen said that the heavens cursed him – doomed to kill his parents, his siblings, his own children, and destroy his country. Yup. All that. It was enough for his daddy, the King, to seriously consider stabbing his own infant son – but instead he sends him away and tells the nation he died. Well, our young prince grows up. Goes through a series of misadventures. And basically proves he’s immortal – cause the man escapes death a billion times, it’s ridiculous. He falls in love with this blank faced medic, who just happens to be a princess (conveniently allowed to leave the palace, wear commoners clothes, and be unattended by guards… wtf? Since when does that happen?). He’s got a dorky side kick. He’s got a rival for his love interest. He’s got a bunch of political schemes and hurdles to leap over before he can jump on his rightful throne. The bad guys aren’t terribly malicious or cruel, the schemers don’t seem too troubled when their plans are constantly thwarted, the action never makes you wonder who will survive and whose heart and soul will break in the process. And even with the tragic ending (was it though? ), it still felt like a mediocre historical adventure through cliches and tired story lines. This is our leading ladies’ expression about 90% of the show… blank, bewildered and beautiful… for someone so interesting, with her regal past and medical interests… she was so boring. But it’s not just her. They all were. Where are the grand ambitions? Where are the personal faults and self destructive tendencies of our heroes? Where are the clash of wills, the grand romances, the small moments of humor and heart? Well… scattered to the wind, apparently. I had a lot of time to kill, so I watched it all. Every stinking episode. I confess I napped quite frequently and didn’t seem to miss a thing. There are better sageuks. Far better. Overall Rating – 6.5/10. An Echo Chamber of Worn Cliches. 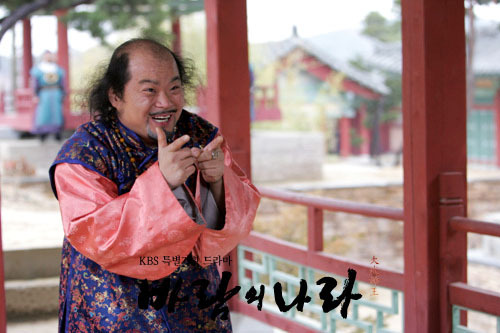 Special shout out to Kim Sang-Ho – who played a devious, funny merchant. I got him. His character made sense – his ambitions, his life, his personality – there were no question marks around his motivations.